When buying a new car, you’ll want to sell the old one quickly and simply. However, environmental concerns and safety issues means it’s not easy trying to sell an older car. Internet advertising may seem easier, unfortunately, selling your car online also leaves you vulnerable to car buying scams. 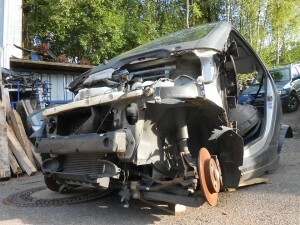 Here are just a few of the scams that you should be aware of, and why reputable scrap car buyers offer an easier, safer and eco-friendly way of disposing of your old vehicle. These scammers call out of the blue and promise to match you with a range of definite buyers. They either call directly, via SMS or they’ll email you. They seek out cars that have been advertised for some time and are difficult to sell, so you and your old vehicle are perfect prey. They will ask for an up-front ‘matcher’s’ fee so they can put you in contact with the buyer and complete the sale. Be wary of anyone who guarantees an immediate sale, offers the full asking price or more and offers a refund if the car isn’t sold. Scammers copy and paste from a genuine shipping site to create a mock site. They promise to send a cheque covering the asking price, plus shipping costs to send the vehicle overseas. Once you’ve received the cheque, you’ll be asked to wire transfer the shipping costs through Western Union. You’ll then find that the transfer is untraceable, cashed immediately and ten days later the cheque in your own account bounces. Another simple scam is bogus buyers pretending to use PayPal then declaring the money won’t be released from PayPal unless the vehicle is transferred first. Don’t ever give your bank, credit card or personal details to someone you don’t know. By scrapping your car, you’ll receive immediate cash payment directly into your bank account and your car will be collected free of charge after the transfer has cleared. Cash in hand payments for scrap cars is illegal, as is charging a fee for scrap car collection. Scrap Car Kings are honest and reliable scrap car buyers connected to a certified Authorised Treatment Facility where your car will be recycled safely and correctly. Contact us today for more information.